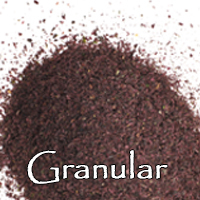 Our seaweed is certified Organic. 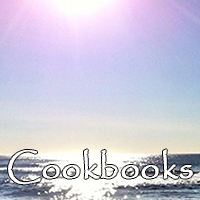 Sea vegetables are an excellent source of nutrients and vitamins, and a valuable component to any healthy diet. 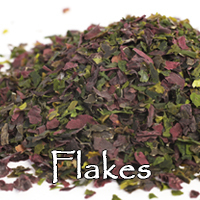 Full of antioxidants, organic, kosher and vegan, seaweed truly is a super food. All of the seaweed in our products comes from live ocean plants harvested in the pure, pristine waters off the coast of Maine. SeaCrunch is the perfect snack for today's health conscious consumer! Good nutrition never tasted so good! 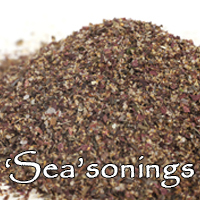 Sea vegetables have long been valued for their nutritional health micro-nutrients. 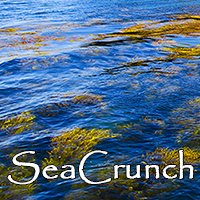 SeaCrunch combines Kelp seaweed with the crunchy flavor and nutrients in almonds and sesame seeds, the antioxidants in sweet dried fruit, with just a touch of pure maple syrup for sweetness... delicious and nutritious! 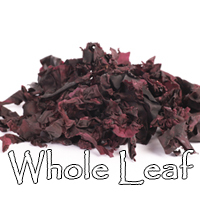 Our SeaCrunch kelp snacks come in original Cranberry or Blueberry with Dark Chocolate. 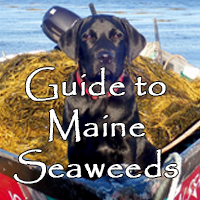 Be sure to learn about Maine's red seaweed, brown seaweed and green seaweed. 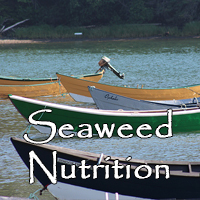 Also, learn about seaweed nutrition - each species of seaweed holds different nutritional values.